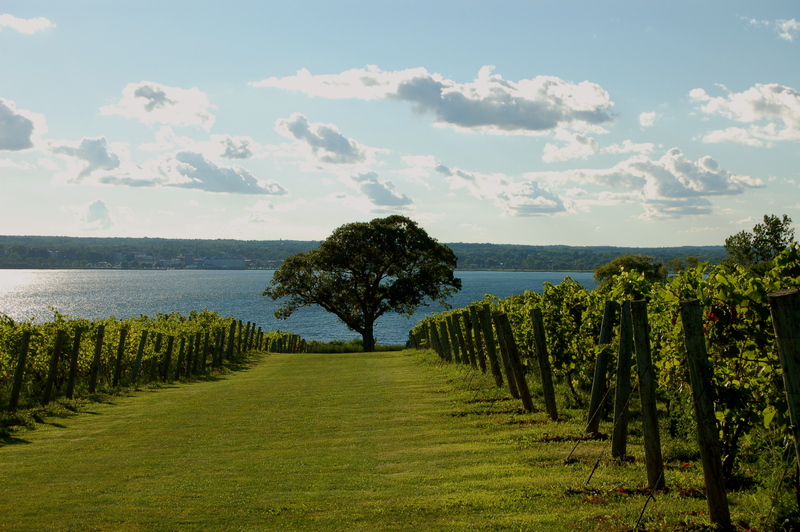 Spend even a short time in the Finger Lakes wine region in upstate New York and you quickly realize that it’s not just the bucolic landscape or the fresh-from-the-farm produce or even the impressive wines that make this place so special. What ties it all together and what will lodge a visit firmly in your memory is the people. New York’s largest wine region comprises more than 130 wineries spread around the shores of four main lakes (out of 11 total), but after five days of traveling and tasting through the area, what quickly became clear is what a tight-knit, collaborative community it is. They lend a helping hand when needed, collaborate on making wine, and when 250 wine bloggers invade their vineyards, what do they do? Welcome them with open arms, serve them delicious food straight from the farmer’s market and generously share their wines. Here are some of the friendly winemakers who opened their doors for the 2015 Wine Blogger’s conference. Ventosa owner Lenny Cecere with his 2011 Lemberger on the night it won the Governor’s Cup award for best New York wine. At 28, Jenna Lavita, Ventosa’s winemaker is the youngest to win this award. Liz Leidenfrost is the third generation of this winemaking family. Erica Paolicelli poured this light, bright Riesling from Three Brothers. Along with her husband, Tom, Marti Macinski makes a lovely lineup of wines including this Gewürztraminer ice wine. The sage of the Finger Lakes? Certainly one of the most gregarious hosts we had. John Martini, owner of Anthony Road, knows how to captivate a wine tasting audience, and the wines are great too. The handiwork of John Santos, vineyard manager, ends up in this fine bottle of Hazlitt’s Cabernet Franc. Owner Scott Osborne (top left) and winemaker Peter Bell (bottom right) treated our group of 50 to a winery tour and lunch with wine pairings. Peter’s not-so-secret passion is port made in the Australian, rancio style. This tawny is outstanding. Tom Higgins and his wife, Susan (sadly not shown, she’s lovely), focus on Pinot Noir and Riesling. Their dedication shows in this white Pinot Noir Polarity. They pulled out all the corks when our small crew stopped by unannounced for a tasting. Fred Merwarth (top right) makes an outstanding range of wines that include single-vineyard Rieslings, sparkling Chardonnay (I highly recommend the 2009), Pinot noir, Cabernet franc and botrytized dessert wines. Katie Cooke, assistant winemaker and Oskar Bynke, estate manager, (lower left) kept the wines flowing. That chef Dano Hutnik was a ballet dancer in Vienna was just one of the many surprises of our dinner at Hazlitt 1852. That seafood stuffed cabbage could be so delicious (paired with Gewürztraminer) was another. Alas, our Russian napoleons were served without a pirouette, but they were still delicious. In the latest issue of Wine & Spirits magazine a report on top restaurant wines found that when it comes to dessert wines the most popular after-dinner tipple is tawny port. In fact, all but two of the top ten were tawnies. This may reflect the fact that this style is a particularly attractive by-the-glass option for restaurants in that an opened bottle will keep for at least a month and these wines don’t require decanting (both good reasons to stock up at home too). But practical considerations aside, tawny ports, specifically those that have been aged for a decade or more, are a delicious way to cap off an evening. Much lighter in body than young ruby’s or mature vintage ports, tawnies have nutty, caramel-like flavors that pair well with a wide variety of desserts such as apple tarts or chocolate mousse, while their sweetness makes them an excellent choice with cheese. And although we tend to associate port with winter weather and a roaring fire, you could also do as the Portuguese and sip them in the summer, slightly chilled, all on their own. Of all the styles of port tawnies perhaps are the most challenging to make and are the most reflective of their shipping houses. They begin their lives the same way all ports do with red grapes crushed and vigorously macerated. Usually the best grapes are used, often from the same batch used for vintage ports since this style’s long aging requires firm tannins and high acidity. Grape spirit is then added to the must to halt fermentation, resulting in a sweet, intensely fruity wine with between 19 and 22% abv. Different houses halt fermentation at different times to obtain their own distinct level of sweetness (the earlier grape spirit is added the sweeter the wine). Wines destined to become tawnies are then aged in large wooden casks for the first few years and then transferred to smaller wood pipes. These are well-seasoned, neutral barrels not intended to impart any flavors to the wine. Instead, their purpose is to allow slow, controlled exposure to air over time. This gentle oxidation along with evaporation concentrates the sweetness and flavors and transforms the wine’s bright fresh fruit into more developed dried fruit, cinnamon, caramel and nuttiness. The color fades from bright purpley red to brownish amber, or tawny. Not all tawny ports are created equally. It’s not uncommon to see generic “tawny” ports without an indication of age. These wines, however, have usually spent no more than a few years in barrel and are often blended with white port to replicate a true tawny. Those aged for seven years in barrel are labeled reserve tawnies and although a few good examples exist these are attractive mostly for their low price. Top quality tawny ports give an indication of age on the label: 10, 20, 30, or 40 years, which represents an approximation of the age of the component wines (they are blends of vintages). Each shipper aims to maintain a house style and may use anywhere from 10 to 50 different wines. One element of some tawnies is called “Duoro Bake” and refers to wine that has been aged in barrels kept in the hot, sunny Duoro valley rather than the cooler, coastal village of Vila Nova de Gaia. The higher inland temperatures cause more evaporation and quicker aging and give more pronounced “rancio” or carmelized flavors. The longer the wine spends in barrel the deeper the concentration, the more developed the flavors and, of course, the more expensive it becomes. About 1- 2% is lost to evaporation every year (3% in the Duoro). Ten-year tawnies average around $20 per bottle retail, while 40-year tawnies are around $140. Hitting the sweet spot of a full array of tawny notes at a reasonable price are the 20-year tawnies, considered by many port aficionados to be the pinnacle of tawny ports. The style exhibits the transition between the vibrant fresh fruit of its younger self and the more mature, developed nutty notes and are slightly sweeter than the 10 year olds. Of those eight favorite tawnies, five were 20 year olds. Here then are some recommended 20-year tawnies and the restaurants where you can find them. Ferreira “Duque de Braganca” 20 year old Tawny Port. Elegant and rich with distinct notes of walnuts, toffee, dried cherry and orange peel. $69.99 retail, $22/glass at Gramercy Tavern, 42 E 20th St, New York, NY 10003, (212) 477-0777. Fonseca 20 year old Tawny Port. Fonseca may be known for its vintage ports, but its 20-year tawny is top notch. This wine was my favorite of the three for its smooth and silky texture and its complex notes of stewed plums, dates, dried cherries, and candied pecans, which lingered for a good long time. $49.99 retail, $18/glass at Aldea, 31 W 17th St, New York, NY 10011, (212) 675-7223. Taylor Fladgate 20 year old Tawny Port. This wine took top honors as the most popular dessert wine. Although I preferred the other two, this is still a delicious, bright and refined wine with notes of raspberry jam, dried cherry, and cloves. $50.97 retail, $20/glass at Bar Boulud, 1900 Broadway (at 64th Street) New York, NY 10023, (212) 595-0303. 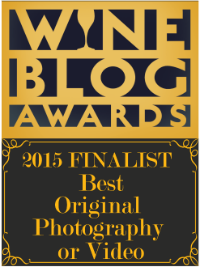 This entry was posted in Tawny Port, Uncategorized and tagged Ferreira, Fonseca, Tawny Port, Taylor Fladgate. Will the snow ever end? It’s all the East Coast is talking about. Personally I love a good winter storm­ and how the whiteness (while it lasts) brightens the skeletal trees and the city becomes a little less frenetic. Cold, snowy nights like these call for an extra dose of something to take the chill out, like an oloroso sherry. Sherries have made a comeback in the last few years, but while finos and manzanillas have drawn most of the attention olorosos remain mostly out of the spotlight. In fact when I went searching for a bottle in my local shops there were few to choose from. Made from the courser base wines, olorosos are often more textured and fuller bodied than finos and amontillados. While they still make for a fine apperitif, the style lends itself to pairing cold-weather fare such as stews or game dishes. Oloroso means “fragrant” in Spanish and these are potent, hearty wines, usually a dark amber color with nutty, dried fruit flavors. This comes from aging entirely oxidatively in barrels with no time spent under a layer of flor (yeast), which is how finos, manzanillas and amontillados are aged. Over the years some of the wine evaporates, concentrating the flavors and increasing the level of alcohol, which can range from 18 to 24%. This may leave an impression of sweetness although most oloroso wines are dry. A truly sweet oloroso will have had some Pedro Ximenez added and labeled a cream sherry. This oloroso comes from a former almacenista, who used to sell his wines to big producers such as Gonzalez Byass, but now bottles them under his own name. The bodegas of Gutiérrez Colosía are found in the coastal town of El Puerto de Santa María and therefore feel the influence from the Atlantic winds. The saline quality of this oloroso is prominent, but is accompanied by notes of toasted walnuts, raisins, and a touch of iron. And, since it has already been exposed to oxygen, once it’s open it’ll keep in the refrigerator for a couple of months. Gutiérrez Colosía Oloroso dry sherry, 750 ml, 18% abv, $34.99. No sooner had our host poured the last golden drops of the Frescobaldi vin santo into our glasses, than she’d pulled out a bottle of 2008 Maculan Torcalato. This too is a passito wine, made from dried grapes, and a vino da meditazione, but it comes from the northeastern part of Italy, specifically from the area around the village of Breganze, 50 miles northwest of Venice. The rolling volcanic hills of the Veneto are renowned for the many styles of passito wines (Amarone is a famous dry version). Torcolato, however, remains little known outside the region, and for most of its history this dessert wine remained a local specialty. As the wines were never meant for export, little attention was paid to quality, and the wines were often oxidized and, one could say, an acquired taste. One man who sought to change that was Fausto Maculan, who in 1970 set his sights on transforming their family’s Torcolato into something more than just palatable. Young and armed with an enology degree, this third generation winemaker set about rehabilitating this old-fashioned wine. Torcolato means twisted and comes from the tradition of leaving the grapes on the branches, which are then twisted together and hung from rafters in special drying houses. The Maculan wine is a blend of 85% Vespaiola, 10% Tocai and 5% Garganega grape varieties, which are harvested late in the season, usually in October. As the grapes dry and the water evaporates, the sugar and flavors in the must become more concentrated. By January the grapes have been transformed into raisins and are ready to be pressed. Fermentation is on the skins, after which the wine is aged in small French oak barrels for a year, followed by six months in bottle before being released. We sipped this wine on its own, and it was a remarkable, luscious mix of apricot tart, honey, and cinnamon. 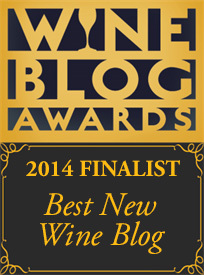 This entry was posted in Uncategorized, Vin Santo and tagged Italy, Maculan, Torcolato. What to Pair with Pumpkin Pie? ‘Tis the season for Thanksgiving wine lists when experts recommend their best bets for what to pair with the meal’s myriad, complicated flavors: turkey, gravy, stuffing, sweet potatoes, Brussels sprouts and cranberry sauce. Favorites include Beaujolais crus, Rieslings, and Pinot Noirs, all wonderful choices, but that is where the lists usually end. So what to serve with the pumpkin pie? Give your holiday that extra special touch by serving a dessert wine that’s been specially chosen for the holiday’s signature desserts? Pumpkin pie is by far my all-time favorite and even when I don’t think I have any room left I will find a way for a slice of this. Pumpkin pie is creamy, not to mention the dollop of whipped cream on top, and wonderfully rich with autumnal spices like cinnamon, cloves and allspice. What’s needed is a wine that blends with the spices and isn’t too over-the-top sweet. 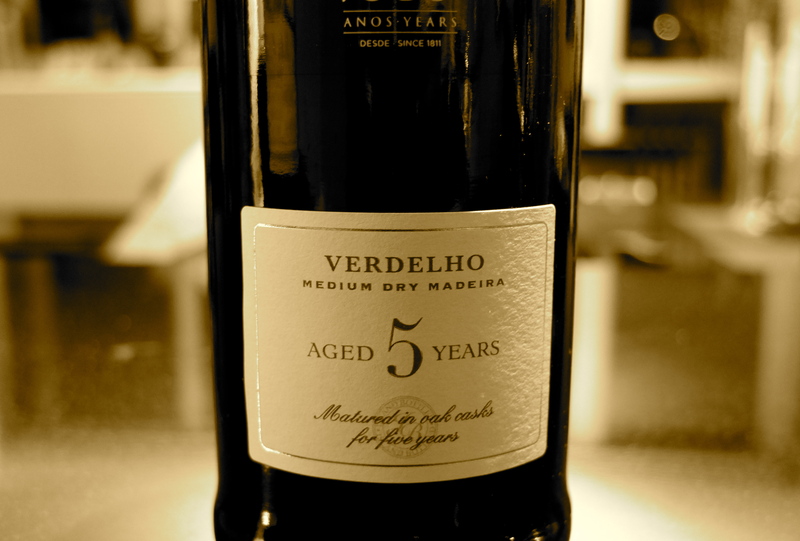 Blandy’s Five Year Old Verdelho, $25. Madeira is a great choice due to its signature high acidity that cuts through all that richness. A drier style such as Verdelho with it’s nutty, dried fruit flavors would work well. These wines tend to be less sweet than the Malmseys or Boals, but still have a fair amount of residual sugar. In the world of fortified wines this is relatively light bodied with notes of dried fruits (raisins, punes and figs) and toffee, caramel and candied ginger. Its acidity not only cuts through the rich creaminess but also has the surprising effect of refreshing the palate, which, at this point in the meal, comes as a welcome relief. Its burnt orange color, too, couldn’t be better coordinated. And if you don’t manage to finish the bottle, no worries, due to the intentional oxidation and heating during the aging process, these will keep for next year’s celebration, or the one after that or the one after that. 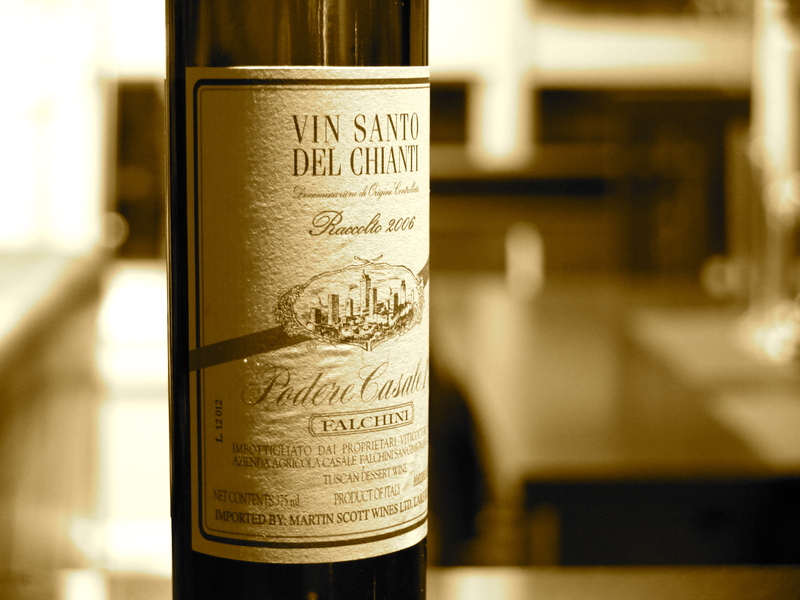 Blandy’makes wines that are readily available here in the U.S.
Falchini Podere Casale I Vin Santo del Chianti, $25. This wine is made from Trebbiano and Malvasia grapes that have been dried and aged in oak and cherry casks for many years. It is softer and more viscous than the Madeira but still has a bright acidity to keep it from being cloying. Flavors of candied orange, caramel, cloves and almonds work perfectly with the sweet spices of the pumpkin pie. With its rich nutty sweetness pecan pie calls for something that can stand up to its intensity. Lustau Pedro Ximenez “San Emilio” Sherry, $29. Lusciously sweet, with silky, rich flavors of raisins, dried figs, dates, molasses and walnuts, this wine gets its concentration from Pedro Ximenez grapes that have been dried out in the sun for 4 to 10 days. The flavors are further concentrated by aging in the solera system that allows for controlled oxidation in barrels. If you wanted to forego pie altogether and just sip your dessert this would be the wine to have. Graham’s 20-year-old Tawny Port, $55. Rich and smooth, with notes of roasted walnuts, dried fruits and butterscotch, a 20-year tawny is the pinnacle of this style. The age indicated on the bottle is the average amount of time the wines have spent in wood casks. Extended wood aging slowly turns the wine a pale amber or brown, and its flavors develop from bright red fruit to concentrated dried fruit and caramel. Twenty years is the peak of a tawny’s evolution, when the tannins soften and the flavors come together to create a complex yet harmonious wine. Once opened these can be kept for about a month or two in the refrigerator (recorked of course). There are many wines that pair well with apple pie, but if you want to keep things all American (or how about at least all North American?) than two choices come easily to mind. Inniskillin Vidal Icewine Niagara Pearl 2008, $54 for a half bottle (375 ml). Made from frozen grapes, icewine was originally a specialty of Germany and Austria, where it’s known as eiswein, but has turned out to be a popular wine to make in the cold climates of Canada and northern New York and Michigan. The grapes are picked while frozen on the vine, thus removing most of the water and concentrating the sugar and flavors of the grape. Some of Inniskillin’s icewines are oak aged, but his one is not, retaining the grapes fresh fruit flavors. This golden wine is silky sweet but with a refreshing amount of acidity and tastes of apricots, pears and honey. Hermann J. Wiemer Riesling Late Harvest Finger Lakes 2012, $30. More time on the vine translates into a sweeter, richer wine with deeper, more concentrated flavors. The Riesling grape is famous for retaining its acidity, which is critical for dessert wines, keeping them wine fresh and lively. Hermann J. Wiemer is a well-known producer from the Finger Lakes region of New York, and the wine’s flavors of ripe apple, pear and honey pair perfectly with that quintessential American dessert—apple pie. This entry was posted in Uncategorized and tagged Hermann J. Wiemer, Icewine, late-harvest Riesling, Madeira, PX, Tawny Port, Vin Santo. 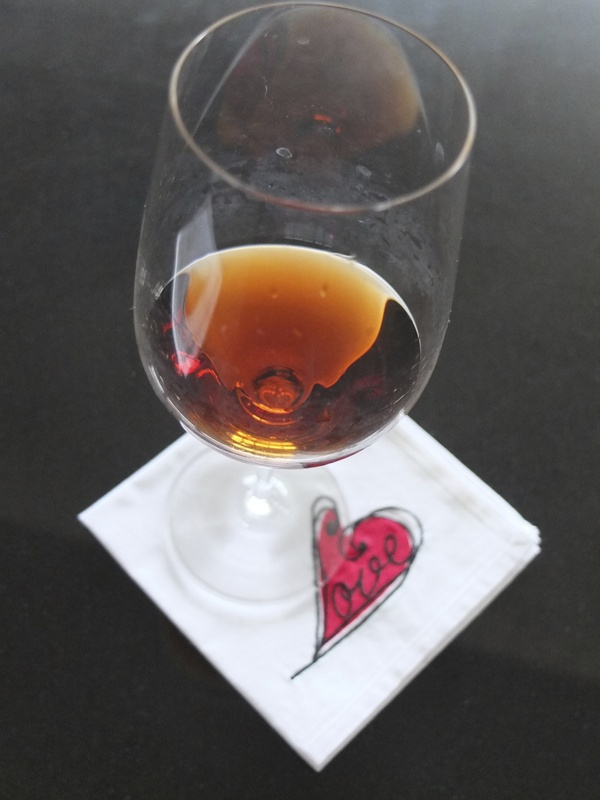 So, a blog about sweet and fortified wines, possibly the most under appreciated and least popular styles of wine in the country. I may be vying for the fewest-readers-of-a-blog-in-history award, but I hope not. Because within these categories are some of the finest, most complex wines made, many with the potential to age for decades (Madeiras and some Sauternes can last for more than a century). They are often painstakingly difficult to make, requiring enormous investment of effort, time and care on the part of the winemaker. With nearly every wine-producing country in the world making a sweet or fortified wine, each with its own distinctive grape or winemaking method, the list of wines is long: off-dry Chenin Blancs from the Loire Valley, fortified port-like Banyuls from the south of France, luscious dessert wines from Tokaji, Hungary, long-lived Madeiras from Portugal, late-harvest Rieslings from Germany and botrytised dessert wines from Sauternes in Bordeaux. That’s just a small sample. It seems a shame then to let these wonderful wines go unappreciated. There is a time and a place for every style of wine and that holds true for sweet and fortified wines as well. My aim here is to explore the possibilities and shine a spotlight on these delicious, finely crafted, artisanal wines. I hope you’ll find ways to incorporate them into your life and seek out this section on the wine list the next time you go to a restaurant. Mostly, I hope you enjoy them as much as I do.